Started working in glass in 1974. 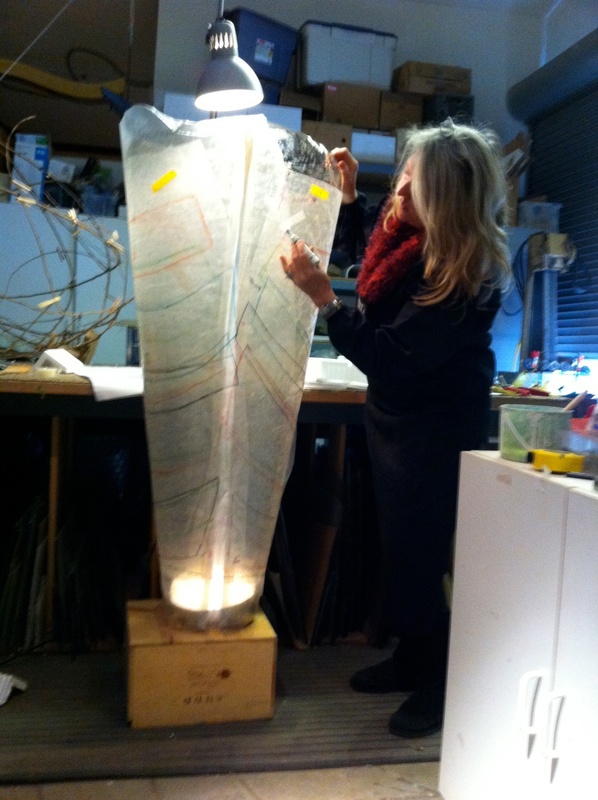 Pam Morris is a distinguished pioneering glass artist and innovator of sculptural luminaire design. In 1974 she discovered the immediate and visceral power of light penetrating glass while in New York City at Saint Patrick’s Cathedral viewing the sunlight stained glass. As a consequence of being moved so deeply, she resolved to devote herself to work with this powerful effect, glass and light. It is hard imagine now….but at that time there were no classes or way to learn. So she made the bold move of going to Durhan Studios, the most noted Stained fabricator in the country. At that time only males were accepted thru a journeyman program. Despite this obstacle, she managed to convince the renowned Albinas Elskus to take her as his apprentice. By the late 1980’s restaurants in America became what the public cathedrals of the Renaissance had been. Places for ordinary people to go and be in a space full of hand crafted works. The adoption of halogen light sources; with its ability to focus light added the theatrical effect necessary to create grand environments. Unlike cathedrals however they were nighttime places. It was the perfect storm for a glass artist capturing natural and man made light to use these public spaces as her galleries to display her illuminated sculptural glass work that was prized for being original and captivating. For over 25 years Pam Morris has been recognized as a creative design force, pioneering using blown, kiln formed and cast glass with forged and cast metal to capture light. 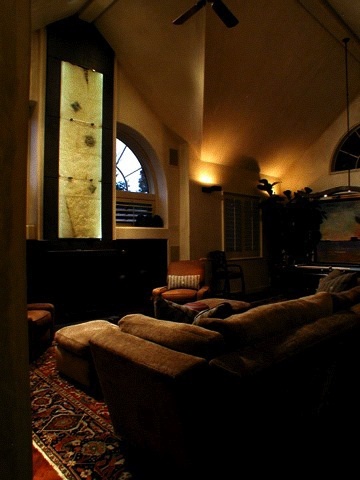 Her highly original and evocative trend-setting pieces have been commissioned in high-end projects around the world. Has been working in glass in California since 1970. John is an artist, designer, and educator. He has worked with glass for more than 40 years. He received his B.A. in Environmental Design from Cal State, Fullerton and his M.F.A. in Sculpture from the California College of Arts and Crafts, in Oakland. John was Head of the Glass Program at San Francisco State University for 24 years. In the fall of 2003 he became Glass Program Coordinator at California State University, Fullerton. He has been a guest instructor at numerous schools including the Pilchuck Glass School, the Tokyo Glass Art Institute, and Osaka University of Arts, in Japan. He has maintained a studio since 1972. 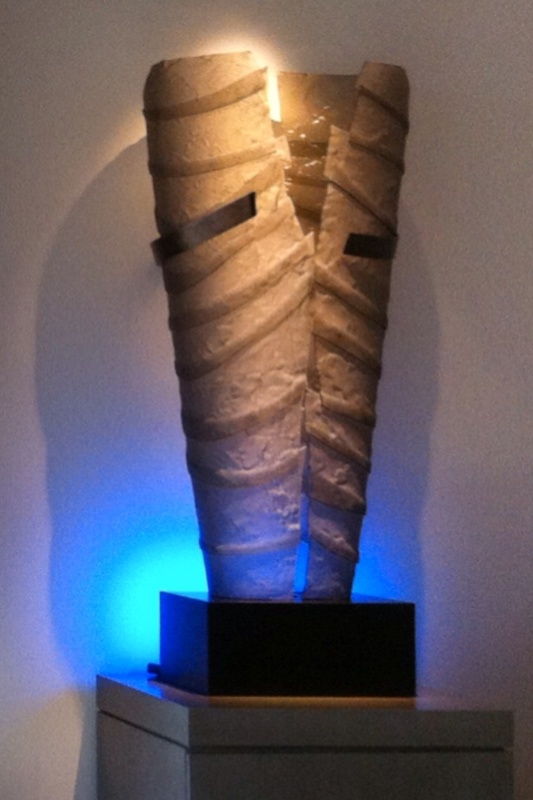 John’s cast and blown glass sculpture are exhibited in Europe, the U.S. and Asia. 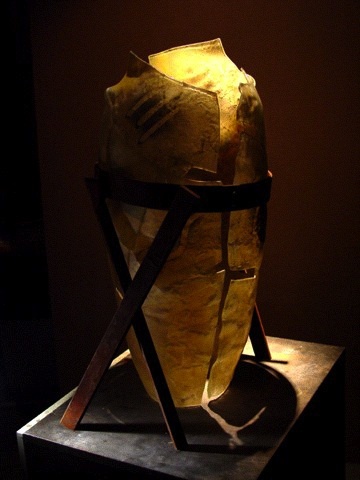 Currently his work is exhibited in private galleries throughout the country and in many private and public collections including the National Museum of American Art of the Smithsonian Institution, The Corning Museum of Glass, the Oakland Museum, the Ebeltoft Glasmuseum in Denmark, the Lemberk Castle, in the Czech Republic, the Notojima Glass Museum, and the Kanazu Art Museum in Japan. John has twice been invited to work at the International Glass Symposium, in the Czech Republic and participated in Glass Art Documents ‘98, held at the new glass studio in Kanazu, Japan. John has completed major architectural stained glass commissions throughout the U.S. and in Japan. He has designed and built his home, studio and a 20-foot sailboat! He was University Art Gallery Director at SFSU for eleven years. 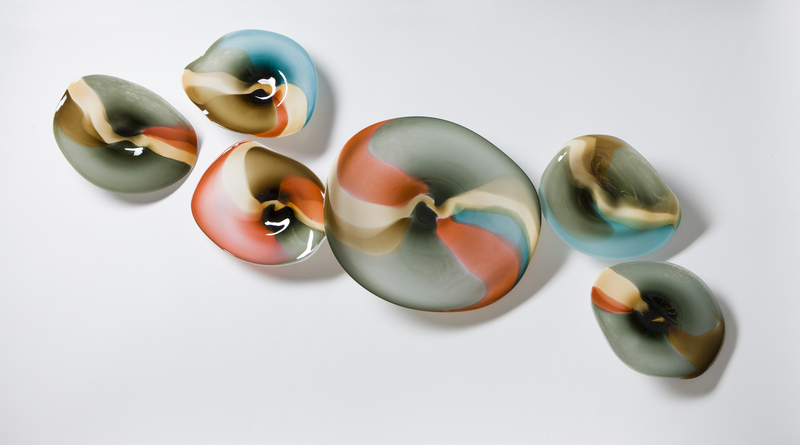 John was a member of the Glass Art Society’s Board for seven years, and was Co-Chair of the ‘94 Oakland GAS Conference. He served as Secretary, Vice President, and a two-year term as President. 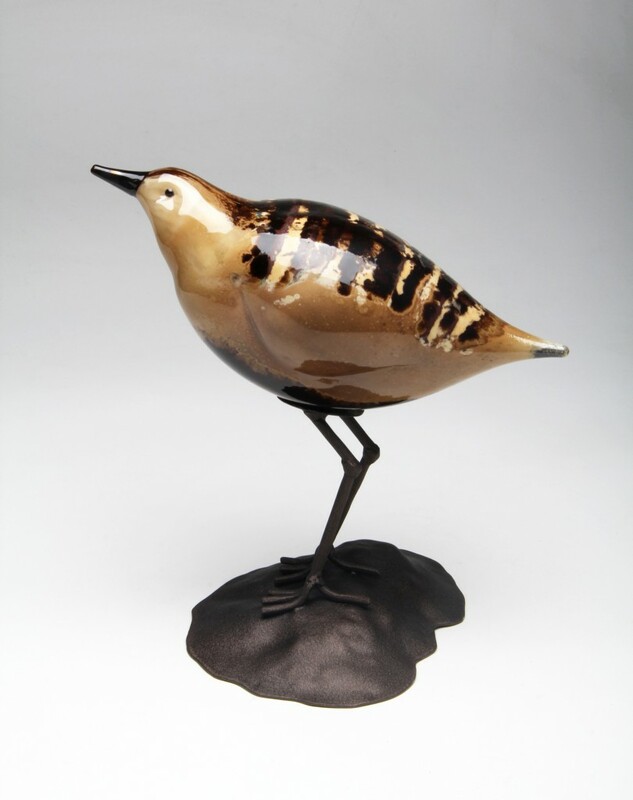 In 2009, John was awarded Honorary Lifetime Membership in the Glass Art Society. Started working in glass in the 1970’s. Shari Maxsom Hopper and her husband David Hopper both attended San Jose State University in the late 1960s. David received the first MA in Glass in 1969. They went to Europe 1960/70 and Shari wrote a paper for Dr. Fritz on glass factories and processes in Europe. On returning they joined Douglas and Carol Boyd in Chico and co-founded Orient and Flume. The partnership ended in 1982. 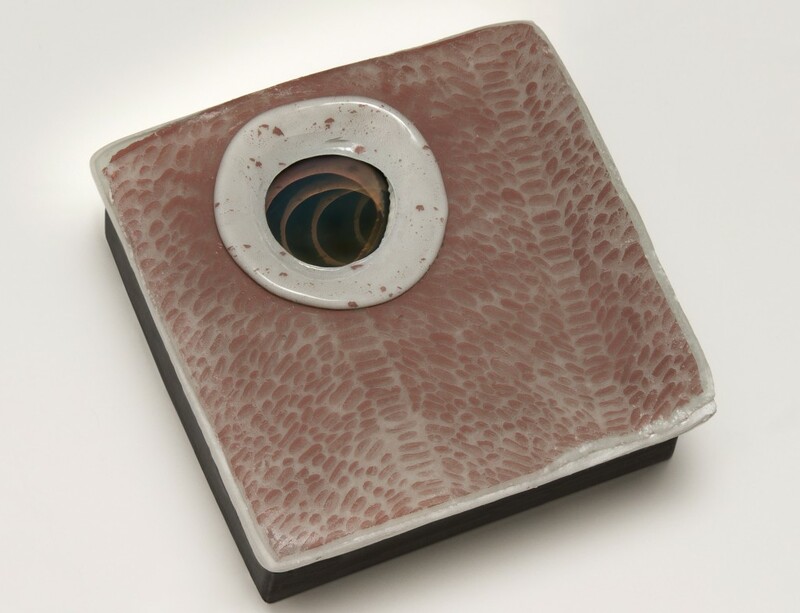 David Hopper went on to innovate photo ceramic processes. From the late 1970s to the mid 1980s Shari Hopper visited glass beadmakers in Central Europe to learn their techniques and document how they made beads. 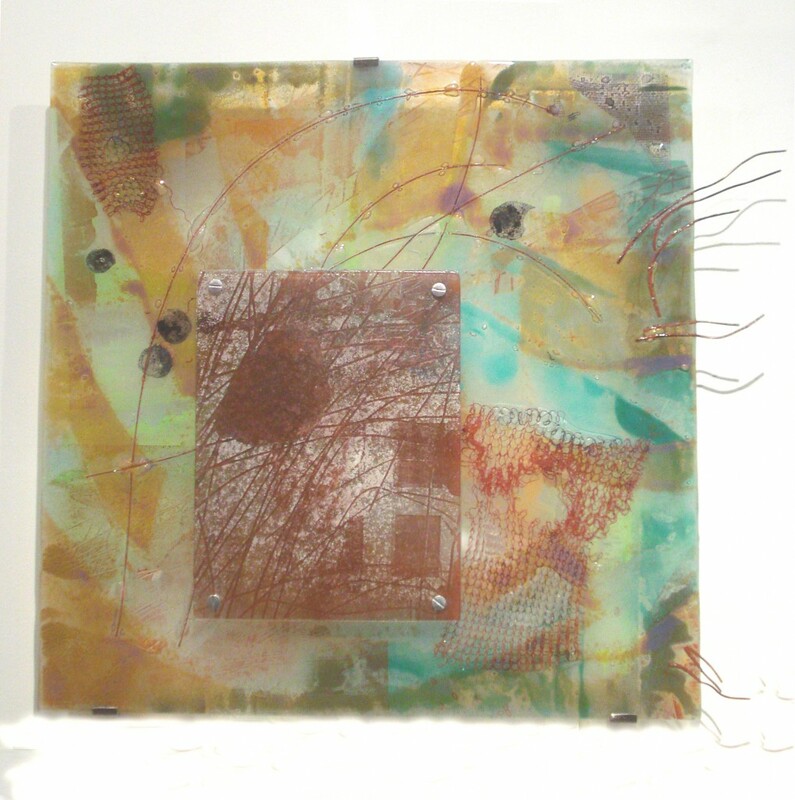 Shari is one of the founding members of the International Society of Glass Beads and uses intricate photo processes in her work. Started working in glass in the 1970s. Started Blowing glass at SFSU in the Spring of 1979. 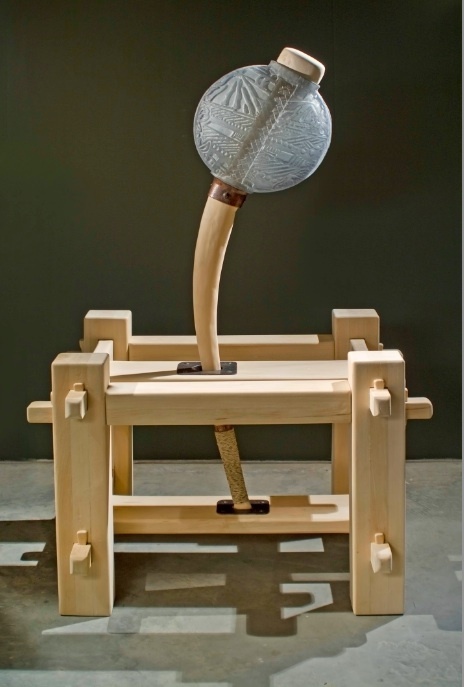 “Michael Schmidt and Carl taught me how to not drip molten glass on my feet.” John Leighton was the instructor. Started working in glass in Los Angeles in 1979. Rick and Janet Nickolson have worked together as a successful team since 1979. Rick first studied glass with Don Hartman and the University of Southern California and was a TA at Pilchuck Glass School for Dale Chihuly and Fritz Dreisbach in 1981. He has continued to study with such notables as Therman Statom, Richard Marquis, Dino Rosin, Lucartha Kohler, Karen Willenbrink-Johnsen and Jasen Johnsen. 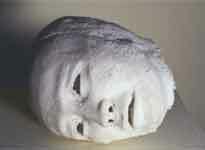 Following his university education, Rick operated a pottery studio full time in southern California from 1974-1981. Janet left her photography position at the University of Southern California in 1979 to freelance and create designs on Rick’s clay forms. They were married the same year, and their artistic collaboration began. By 1982, they were called to concentrate on glass alone and settled on nine acres in Auburn, California where they built a hot shop and raised two daughters. 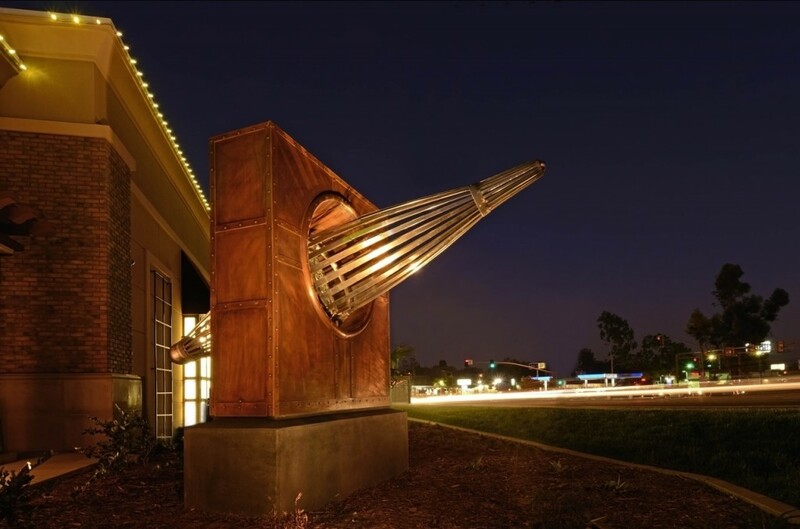 Their work has expanded to include metal fabrication, hot sculpting, fusing, and casting.They create figurative sculptural lighting, multiple piece wall and ceiling installations. Select projects include two wall installations for the Ritz Carlton Hotel in Shenzhen, China; a 21-piece wall installation for the lobby of Weil, Gotschal & Manges International Law Firm in Dallas, Texas; a 17-piece wall installation for Kaiser Permanente Medical Building in Roseville, California; a pair of Torsos for the 4 Points Hotel spa in Guangzhou, China; multiple wall installations, oversize glass and metal sculptures for the M Resort in Las Vegas, and a wall series of 10 platters for BMI in New York City. While Rick does the hand blown work, Janet assists and is the color and design part of their collaboration. Started working in glass in 1979 at Milligan Art Glass. Bruce has been working in glass in California for 33 years. Started in 1979 doing stained glass. Then I worked with David Ruth making hand rolled sheets of stained glass. While there, I learned off hand glassblowing. 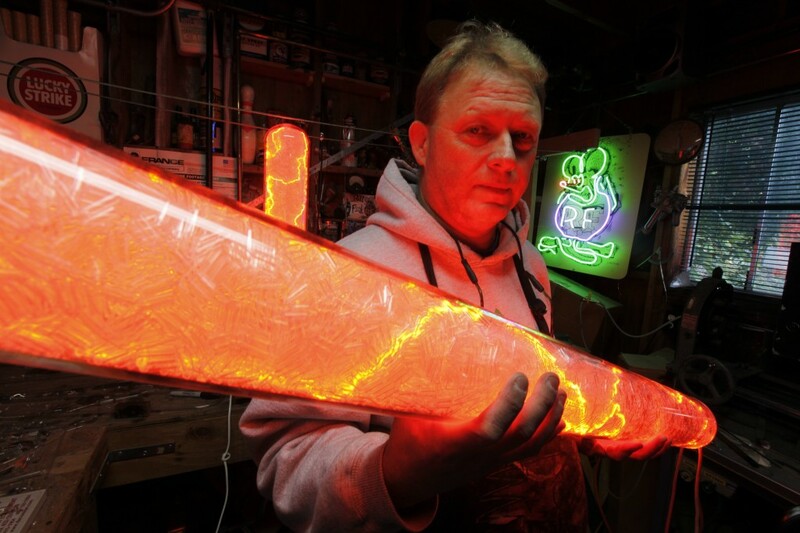 Met John Rossier who taught me the art of neon signs. Took glasses from him for one year. Ended up buying all of his neon equipment and set it up at Bonny Doon Art Glass studio owned by John Forbes. Worked with John Forbes till 2010. My neon shop is now at my house and I have all the toys to make neon, scientific glass work, plasma lamps, crackle tubes & wireless neon art. I also worked for Zephyr Studios, Kim Newcomb’s & Lundberg Studios. Got into scientific glass blowing in my early times. 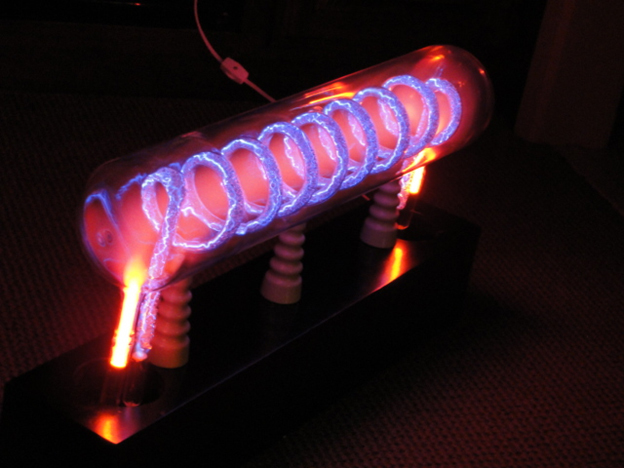 Made lasers, cathode ray tubes, quartz laser flash lamps, quartz metal halide lamps & x-ray tubes. I have been the chairman for the Pacific Northwest chapter of the American Scientific Glassblowers Society for 16 years, organizing meetings at fellow glassblowers’ shops to share the art of scientific glassblowing. Check my web site www.subaneon.com & look me up on Facebook. Has worked in glass for over 40 years. 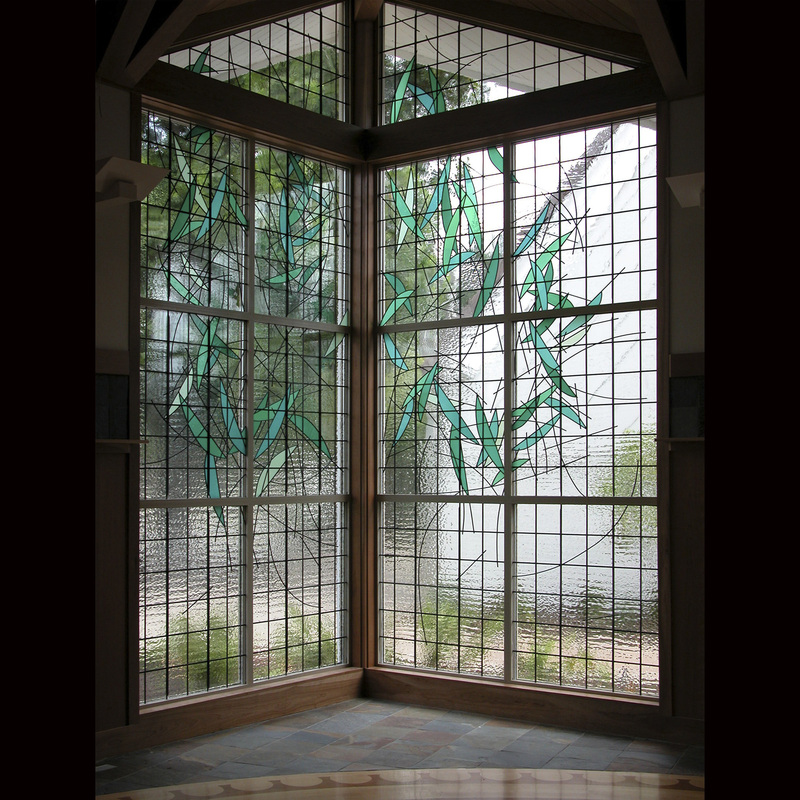 Penelope has completed over 165 glass commissions placed in corporate, institutional, public and private spaces. 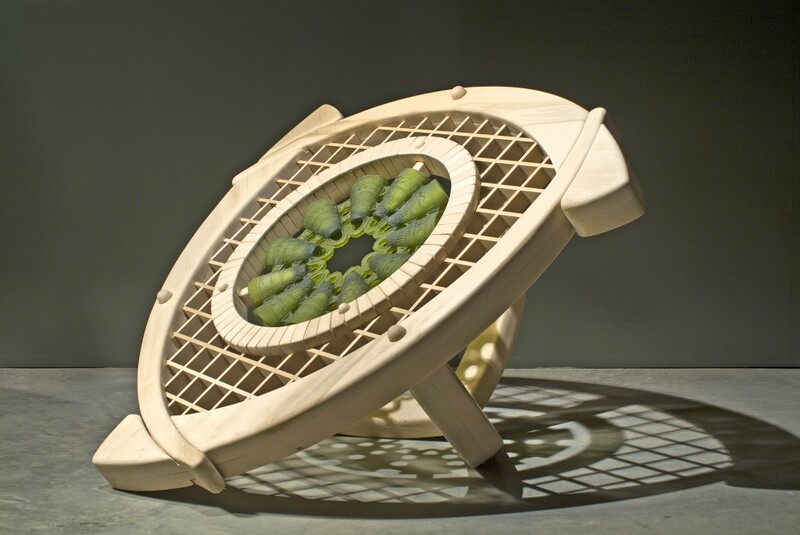 She atarted out in stained glass and switched to 3-D work after Pilchuck course in 1986. 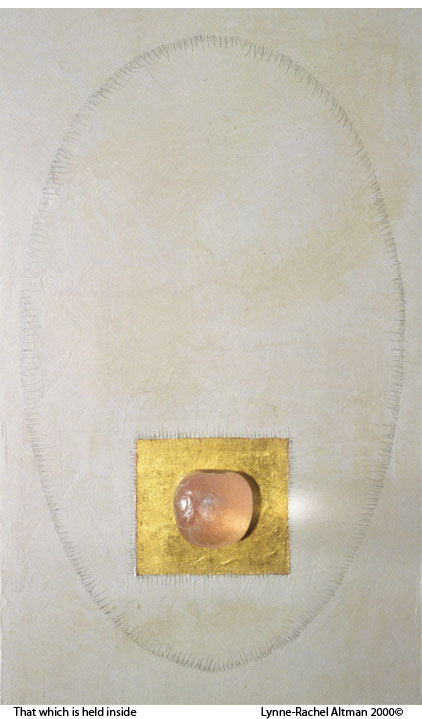 From slumping, she moved to creating landscapes incorporating non-glass materials and lighting as well as glass. She is now casting glass. 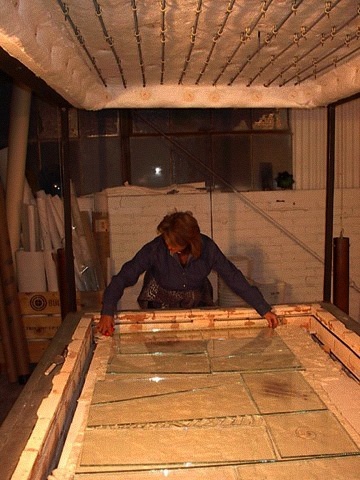 She was an Artist-in Residence at Sanitary Fill (now Recology) (1995), panelist on Use of Recycled Glass at GAS Conference in Seto, JP (1998), recieved a Cash Award from California EPA for Kiln Processes Using Recycled Glass (2006), and was a finalist: Raphael Founder’s Prize (Glass), Society for Contemporary Craft, Pittsburgh, PA 2007. Started working in glass in 1978 in Albinas Elskus Studio , New York, NY. Has worked in glass in California for 34 years. My work is part of a process that articulates a connection to something greater than myself and through various materials brings that into consciousness. I am a San Francisco based artist who has been working with glass, in its myriad forms, for over 30 years. 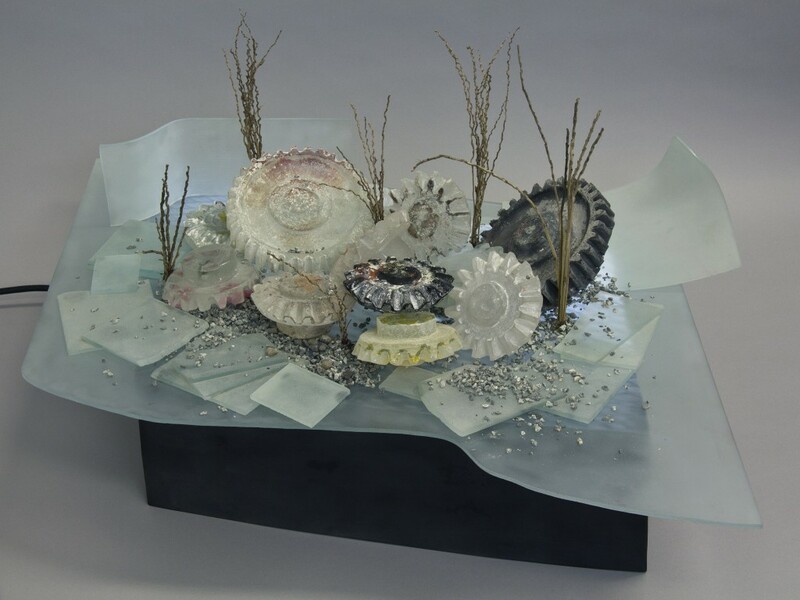 I have also created installations using glass, grass and earth. Many of my pieces express a strong connection to the earth and the need to be mindful of that. 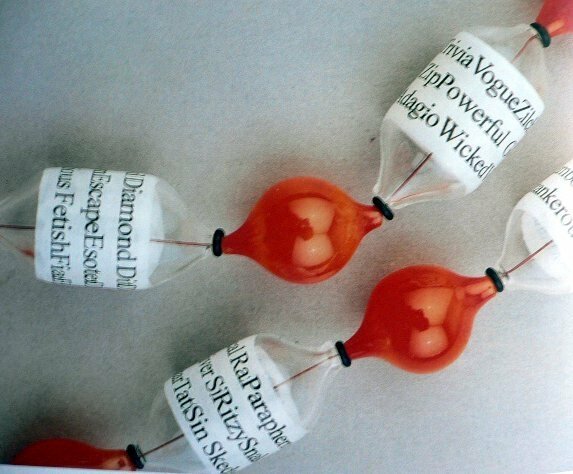 I have been working with recycled materials for many years. In 2000, I was awarded a residency at the Sanitary Fill Company, aka the garbage dump. There I put together a body of work that allowed me to go to graduate school to continue my explorations in glass. I received my MFA from CCA in 2004. In 2005, I was awarded a commission, in collaboration with Linda Raynsford for the Glen Park Public Library. Together, we created a glass and metal sculpture on an 8.5’ x 24’ entry wall. 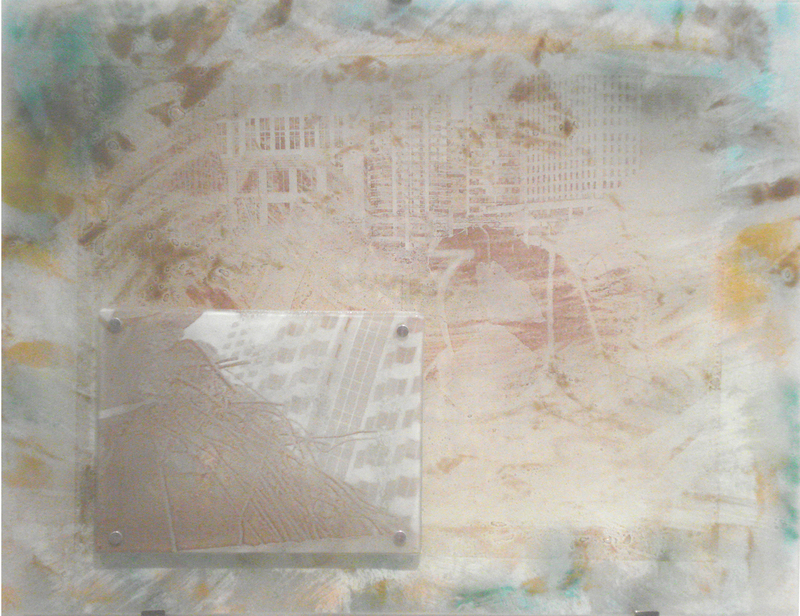 This sculptural wall relief told the story of the park and the people that helped shape it. 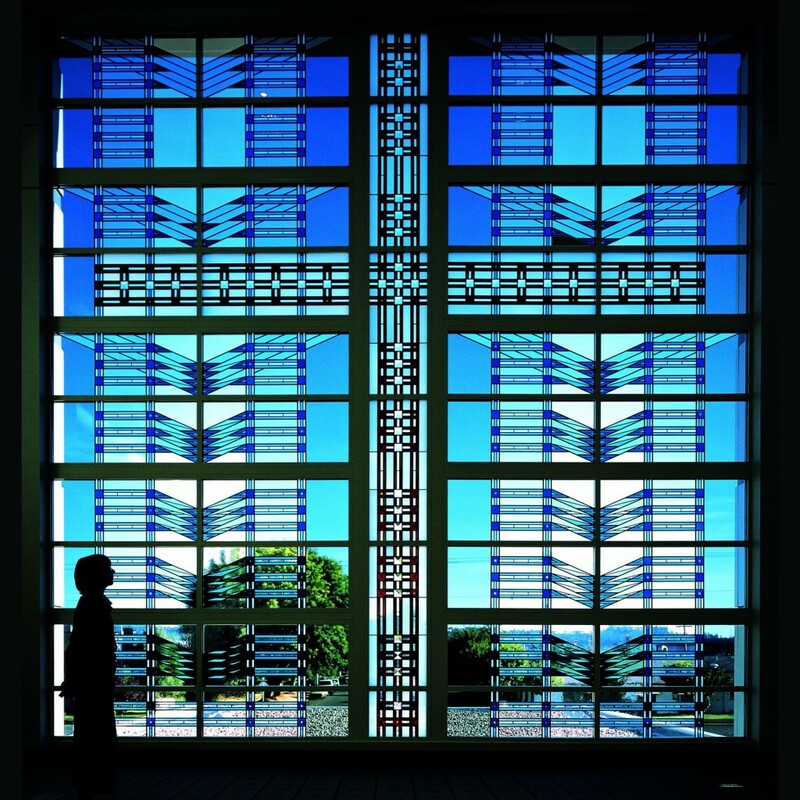 Since then I have worked on several other public art commissions for hospitals throughout California and continue to create autonomous pieces as well. I teach glass classes in my studio and love inspiring the creative process in people.